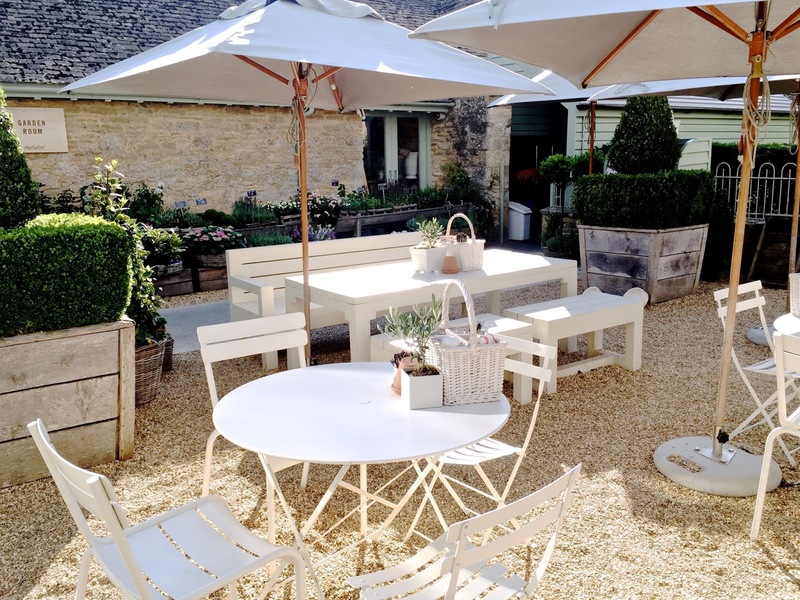 Tucked away in the beautiful Cotswolds near Kingham lies Daylesford Organic Farm, a beautiful space with farm shops, eateries and a food hall that's to die for. 35 years in the making, Daylesford has made quite the name for itself through sustainable farming practices and organic food offerings, capturing the hearts of foodies and the health conscious across the UK. 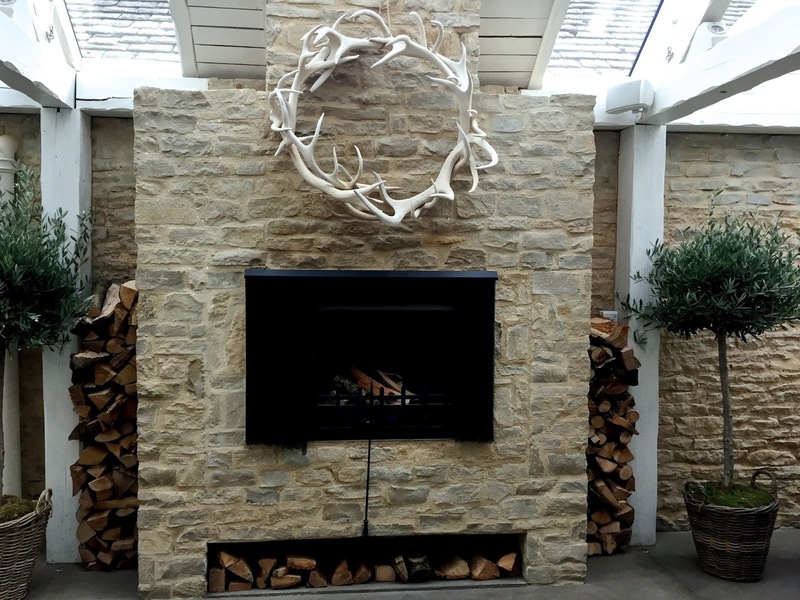 Now so much more than just a farm, Daylesford also boasts a the luxurious Bamford Haybarn Spa where visitors can relax with a wide range of treatments or purchase products from the Bamford beauty range, both named for Daylesford founder Carole Bamford. Additionally the Bamford Barn is a beautiful shop for clothing & other things. 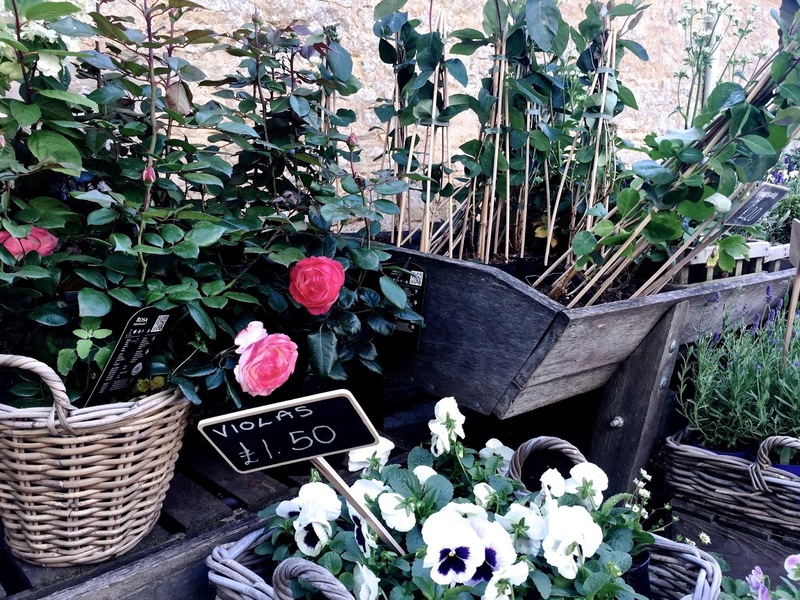 My first impression of Daylesford could be described in two words: Instagram Heaven. 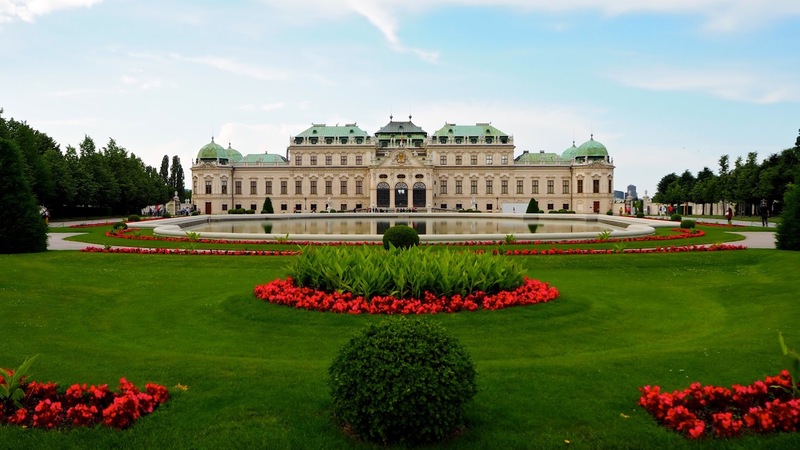 The whole place is a fine example of exquisite taste and everything you see looks like it was made for photographing. Light colors, fresh blooms and beautiful textures have been carefully curated to provide a multi-sensory experience. It truly is a gorgeous place to spend an afternoon. I began my visit with a look around the various farm shops on the property, but first I met a chicken... 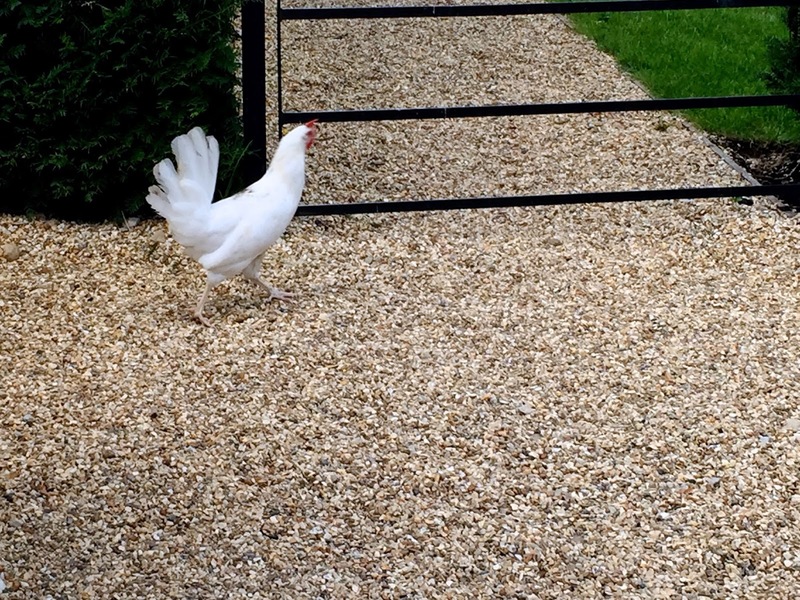 It might not sound too exciting to some, but for a city dweller who grew up in the country, seeing a chicken roaming around freely is a sight for sore eyes. Browsing around the food hall, I couldn't help but admire the bright colors of the produce, the bounty of products available for various food intolerances and the many delicious smells tickling my nose. For anyone suffering from gluten intolerance or other food intolerances and allergies, Daylesford is the perfect source of delicious baked goods among other foodstuffs. Gorgeous meats and fish were on display and then there's the cheese room... A temperature controlled, closed off, carefully curated room of delicious cheese tempted me and my wallet right through its doors. It was impossible to resist picking up some lovely brie to bring home, which only made the experience last a little bit longer. In the same area as the food hall are sections of homewares, offering beautiful, minimally designed pieces for the home and kitchen alongside other things like cookbooks, napkins and the like. Each piece is more beautiful and unique than the next - these are simply items that you won't find everywhere, investment pieces if you will. 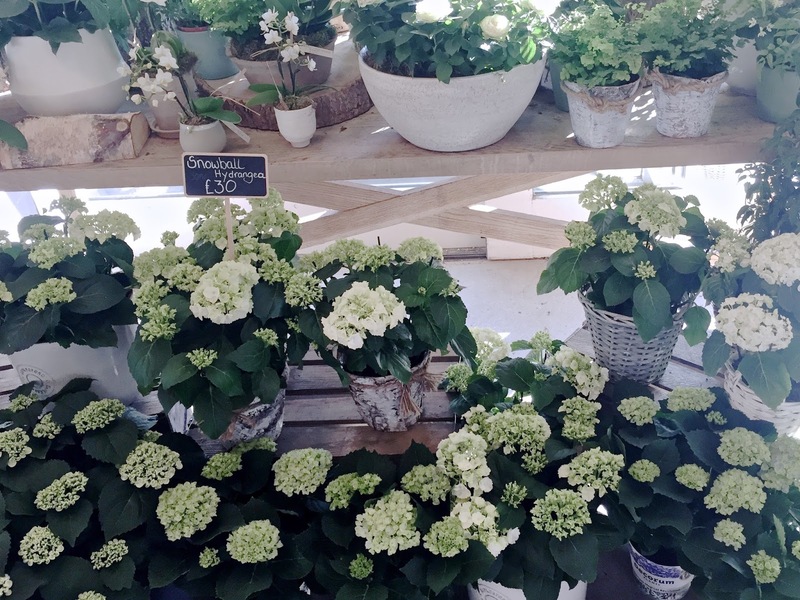 In another section across a beautiful courtyard is the flower shop, filled to the brim with beautiful blooms and rustic vases alongside home fragrance products that are quite tempting. I bought a candle and a lotion bar because they smelled so amazing and were so beautifully packaged that I simply couldn't resist. There are also options to stay on the property in the Cotswold Cottages, where you can relax, unwind and enjoy the farm life for a while. 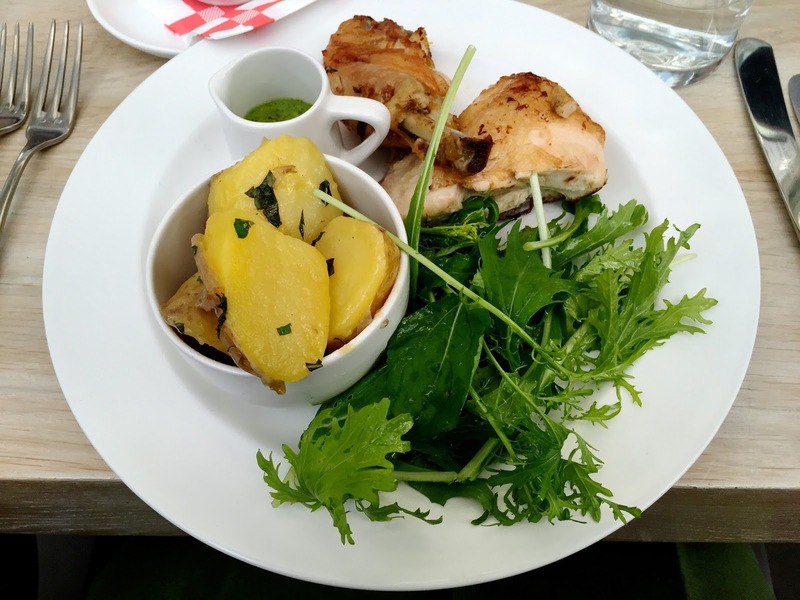 Events at Daylesford Organic Farm are just part of the offering and there's even a cooking school on the property where students can learn to create delicious dishes from the lovely goods they find there. 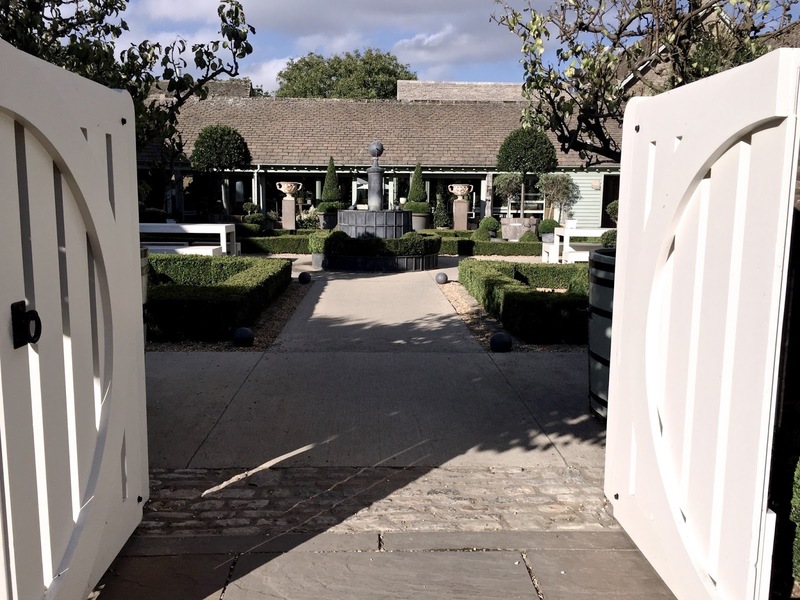 From a Harvest Festival to tasting evenings, there's always something going on, down on the farm! Following my browsing and shopping, I joined some friends for dinner in The Old Spot Restaurant, a beautiful eatery on the property with light & bright decor and a serene, peaceful atmosphere. I would highly recommend a bottle a glass of the Daylesford Prosecco. The red wine we had, an Argentinian Malbec, was absolutely lovely and the food was just as good and fresh as you'd expect from an organic farm. In terms of prices, the restaurant is very reasonable and it's excellent value for money. 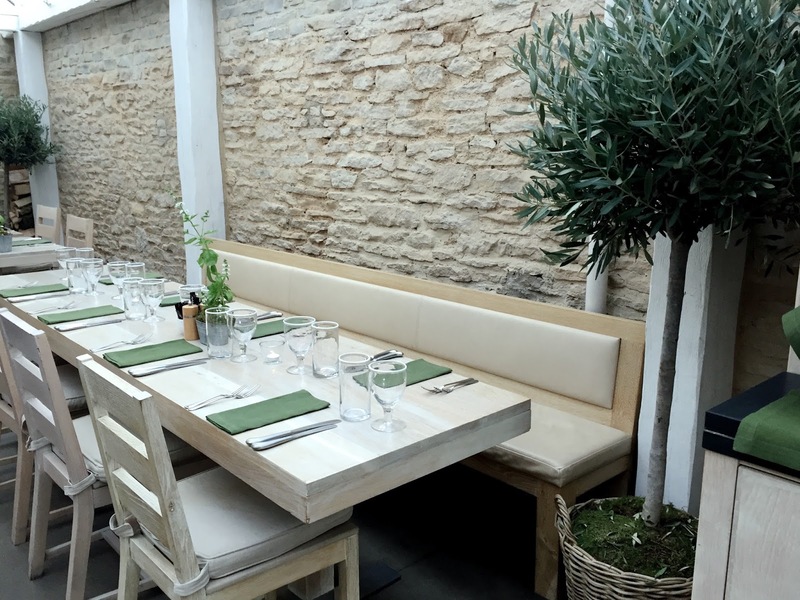 All in all, the dining experience was lovely and while it wasn't very crowded when we were there, if you're planning to dine at Daylesford, booking ahead is advisable. I had a wonderful visit to Daylesford Organic Farm. It's so beautiful that it was almost hard to know where to look most of the time and it's a vast emporium of fine foods & swoon-worthy goods. I could've quite easily spent thousands and thousands of pounds and stayed there for a few days. If you're ever in the area, I'd definitely recommend a visit. It's advisable to check opening times for the various shops and barns you'd like to visit as some of them close earlier than others. If you're heading to Daylesford during the day, I hear the scones are amazing, so perhaps leave yourself time to enjoy tea while you're there. Though it may not be possible to visit the farm all the time, those of us in London are lucky enough to be able to get our Daylesford fix locally with locations in Notting Hill, Pimlico and Marylebone. For those living outside London, the online farm shop on Ocado stocks a great selection of products and produce and many of the goods are available from the Daylesford website. 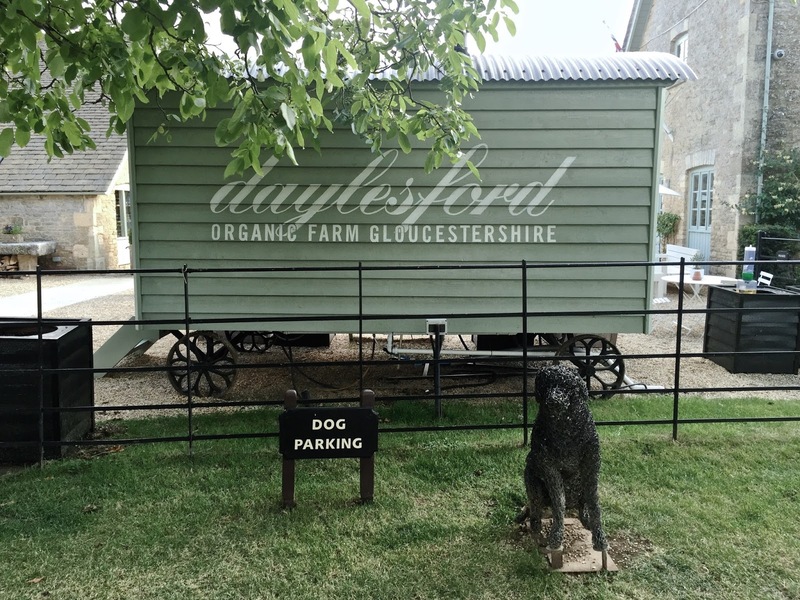 For more information, to shop or to plan your visit to Daylesford Organic Farm in Gloucestershire, visit Daylesford.com.